Cannonsburg has one of those long runs that make a day fun. It's 1,500 feet, which is quite a feat with a vertical drop of 250 feet. You can ski or ride over 100 acres. 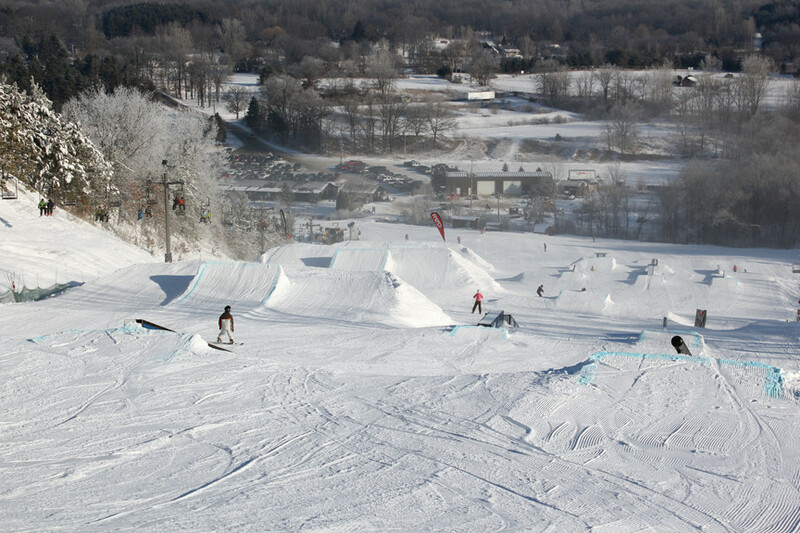 Cannonsburg has the highest vertical in southwestern Michigan. Day lodge with 2 cafeterias and snack bar; ski shop and rentals; Credit Card: VISA, MC for lifts, rentals, ski school, and ski shop; Nursery; Ski Patrol; Hospital within 12 miles. Get Snow Reports, Powder Alerts & Powder Forecasts from Cannonsburg straight to your inbox!